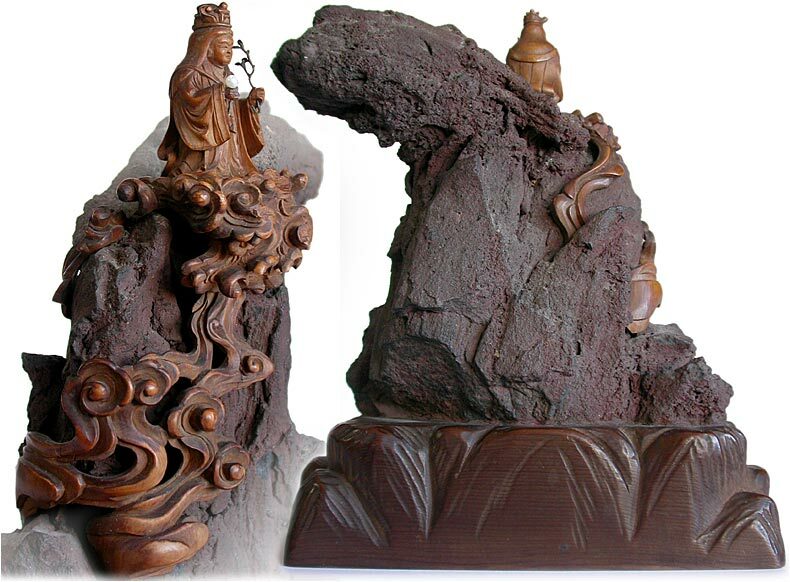 A sandy red volcanic rock in an sweeping wave form, on top of which a netsuke sized goddess in wood, standing on an intricately carved pedestal of swirling clouds that wrapped around the jagged surface of the lava crust. Conjoining nature and art, this suiseki view stone with minute details exemplified the peerless Japanese aesthetic sensibility. 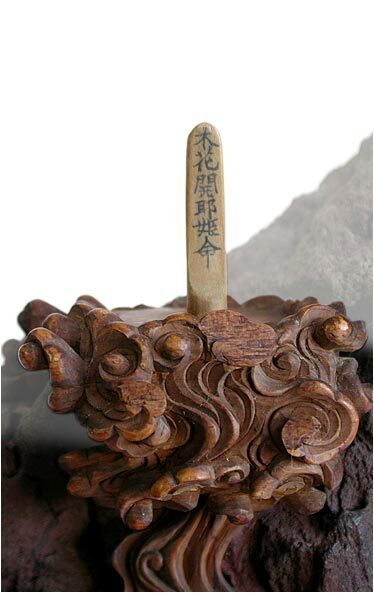 From the inscriptions hidden in the goddess, we learned that she is the Shinto deity Konohanasakuya Hime. The Princess Who Makes the Cherri Blossom Bloom. 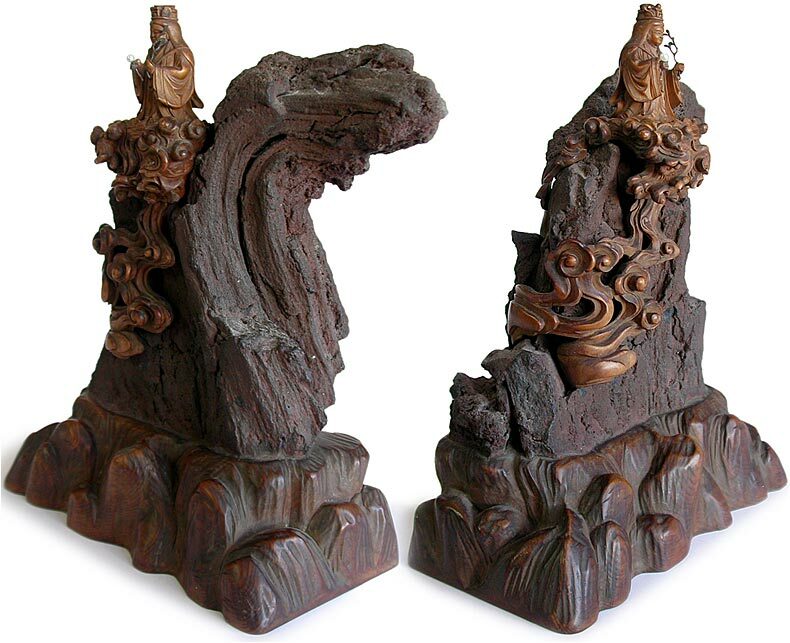 Hence we can concluded that the suiseki stone is a Mount Fuji specimen carved and mounted on cherry wood. 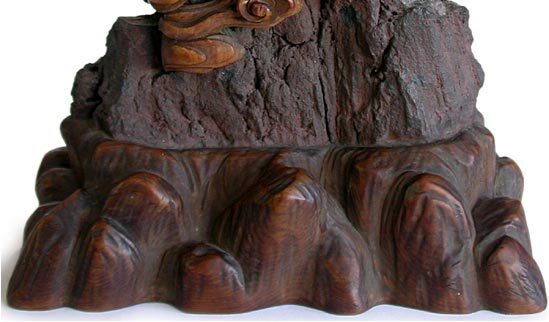 Despite a few minor loses, this exquisite sculpture is overall in very good conditions. It is signed Suzu Boku Toshiharu at the age of seventy-nine years. 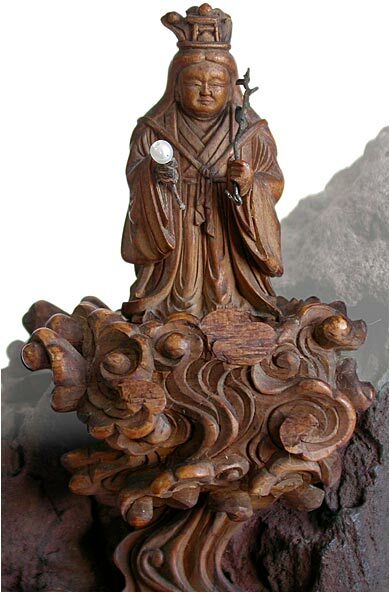 The superb wood carving is signed Toshiharu, a recorded artist carver found in the "Netsuke, MT Hindson Collection" by Neil Davey.